A Hampshire man has jailed for at least 13 years for the murder of his identical twin brother. Plasterer Robert Cerqua, who murdered Christopher in a drunken fight on New Year's Eve, has been given a life sentence and will serve a minimum of 13 years. The 32-year-old was convicted on Monday (20 October) of killing his brother, a carpenter, by a jury of nine men and three women at Winchester Crown Court after almost 16 hours of deliberations. 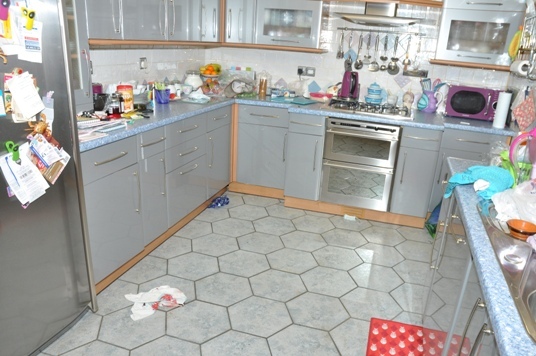 The trial heard that Cerqua stabbed his twin in a ``fit of temper'' following an argument that took place in the kitchen of the family house in Langdown Road, Hythe, Hampshire, on 31 December last year. ``You have been found guilty by the jury of the murder of your twin brother Christopher on New Year's Eve last year. ``His death and its consequences have had, and will continue to have, a devastating effect on your parents and those close to you. ``You grew up with your brother and from time to time worked with him in the building trade. When you were both sober, it seems you got on well. ``But when each of you had too much alcohol, there was a risk an argument might break out leading to violence. That had happened before and it happened on New Year's Eve. ``On New Year's Eve you and he were drinking in the kitchen of your parents' home. It's unlikely that violence was on your mind or your brother's mind when you started drinking. ``From 6pm to 8pm, it's gathered from the record of text messages that all was well. However, as soon as you both drank more, it seems that you feared a fight might break out. ``Then an argument and a fight broke out, quite why is not known, but it did. The court heard that Cerqua had served previous prison sentences for offences of battery and affray relating to domestic incidents involving his former partners. He also had previous convictions for motoring offences and criminal damage. Nicholas Haggan QC told the trial that Cerqua, who had been drinking, got involved in an argument with his brother which then turned violent. He said the parents of the twins, Peter and Denise Cerqua, were present in the property, where both sons also lived, when the fight took place in the kitchen. The jury was shown photographs of the kitchen, which showed several crushed empty cans of Stella Artois lager alongside party food. Mr Haggan said the defendant fled the property bare-foot and called his girlfriend, who took him to a friend's party where he continued to get drunk. He said: ``This is a tragic case. It involves the killing by this defendant, Robert Cerqua, of his identical twin brother, Christopher Cerqua. ``The incident which led to Christopher's death occurred in the kitchen of the family home in Hythe, where both their mother and father were present in the house. ``In a nutshell, it was New Year's Eve last year, both brothers had been drinking, shortly before 9pm an argument started between the two brothers. ``That argument appears to have turned into a tussle, punches may have been exchanged, at some point this defendant picked up a kitchen knife and he used it to stab his brother Christopher. ``Having done so, the defendant fled the family home. He didn't even stop to take the time to put on a pair of shoes before he left the house. ``He telephoned his girlfriend, who picked him up in her car and took him to a friend's house where a New Year's Eve party was in full swing. ``The defendant turned off his mobile phone which meant that he could not be contacted by the police. Mr Haggan said that Cerqua inflicted a single stab wound to his brother's lower stomach which was about seven inches deep. He said the defendant told police he had acted in self-defence. He explained that DNA found on this knife matched both the defendant and his brother because, as identical twins, they shared the same DNA profile. Mr Haggan said a blood test showed that Christopher had 230mg of alcohol in 80ml of blood - almost three times the drink-drive limit - and Robert told police he had drunk six cans of lager and two glasses of red wine before leaving the house. He also told police that he had a ``fiery relationship'' with his brother and drink could make him ``nasty'' and ``short-tempered''. "This is a double tragedy for the family who have lost one son and now have another who has been convicted of killing him. Our thoughts remain with Christopher's family and friends."